Here's a video I made recently for the Gamekeepers' Welfare Trust, to help them publicise their work supporting gamekeepers and their families in times of need. So much of the video work I do focuses on activities and action, and there's little in the way of real human stories and emotion. This one is quite the opposite - it's a moving tale about a keeper who suffered a horrific accident, and his determination to continue with his active, outdoor lifestyle as best he can. And, of course, it's about the people who have helped and supported him in that. His family deserve more of a mention than they get in the video, but it also talks about what his employer and the GWT have been able to do to help. It was a moving, and humbling, experience filming David and I wished I could have spent more time with him. 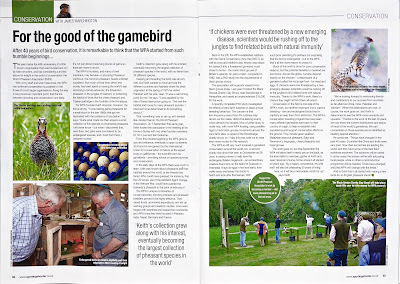 I hope you enjoy the video - and if you can, support the GWT in their work. Click here to find out more. 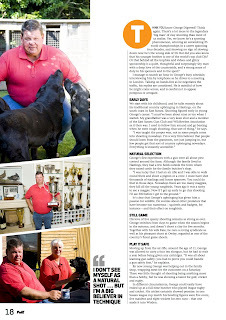 I was particularly proud of this interview with George Digweed, which was published in the CPSA members' magazine 'Pull!' 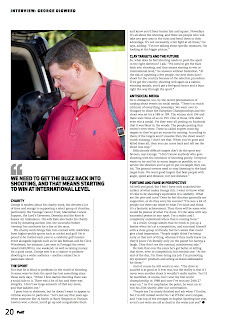 George is an absolute legend in the world of shooting, with an astonishing 26 World Championship titles to his name at the time of writing this - he adds to them so often that number will probably be out of date in no time. 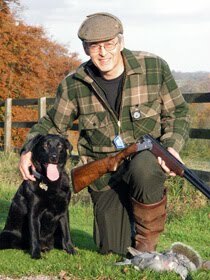 George's shooting career spans four decades and throughout that time he has worked hard to keep his place at the top of the Sporting tree. I first interviewed him back in the 1970s, for what was then Shooting Magazine, and I've watched his progress with admiration ever since. 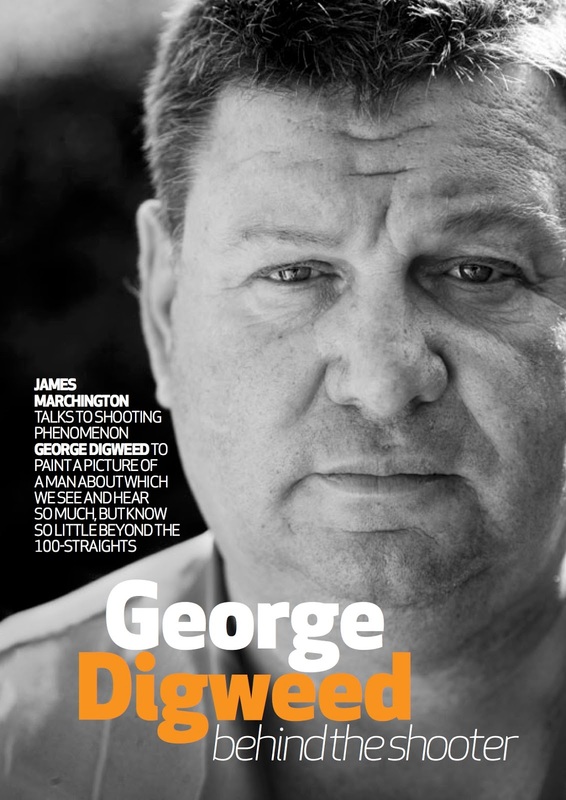 George's name and face are instantly recognisable to just about every shooter in Britain and beyond, but it's rare to get a glimpse of the man behind the image. I was flattered that George talked openly with me about his feelings, and some difficult moments in his life. 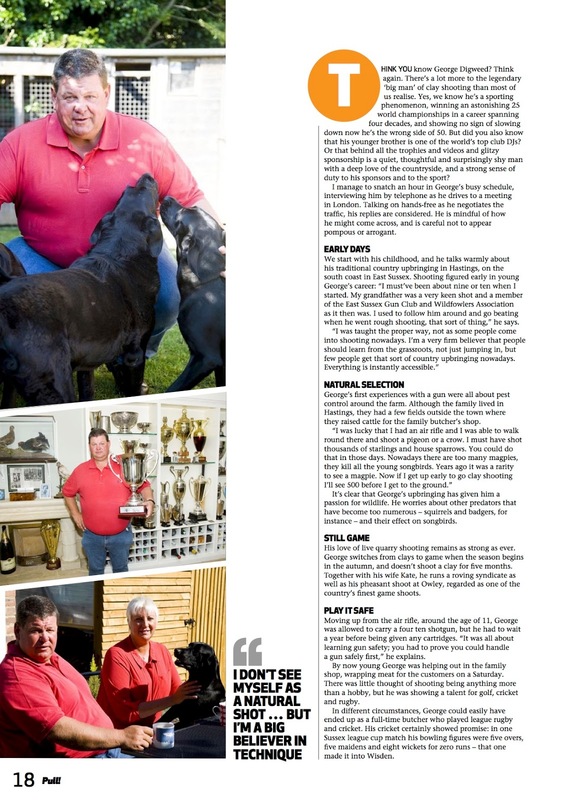 I hope this piece conveys something of George's warm, caring and fun-loving side - something that rarely comes through in reports of his achievements on the competition stage. I was pleased with this nicely timed shot which I took at a recent World Pheasant Association charity shoot at the excellent Oxfordshire Shooting School. 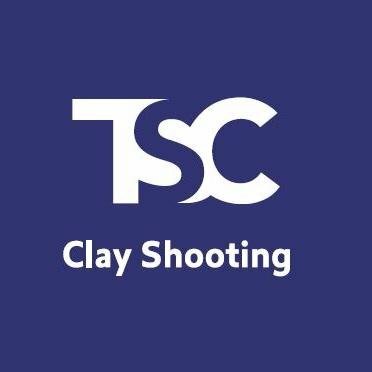 This was the flush, with 80 or so clays thrown over four guns in what feels like no time at all. Things get very heated, not least the barrels! It's one of the few occasions when a side-by-side is an advantage, but you do need a good glove on your left hand. This shooter is doing the sensible thing, holding the breech high to throw the empties over his shoulder without hitting the loader in the face, and presenting the empty chambers ready for loading while keeping his eyes on the targets. The loader has one shell in each hand, which I've found is the quickest way, rather than trying to get too clever and manoeuvre two cartridges into the breech with one hand. When my turn came I was keeping up a good rate of fire when suddenly my gun wouldn't close. In the heat of the moment I grabbed someone else's Beretta o/u and kept going. It turned out that a screw on the barrel lump had started to undo itself, and the head was hitting the floor of the action before the gun was shut. Not what you need in the middle of a flush! More photos from the day here. 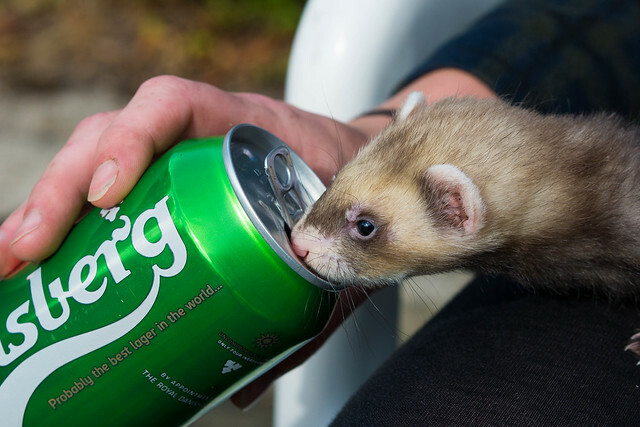 Just a random ferret photo really, but I couldn't resist. This is one of three youngsters born to my jill a few weeks ago. And no, I wasn't really getting it drunk, although it did seem interested in the taste around the rim of the can. 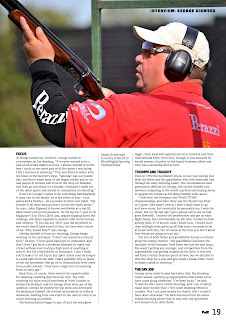 Much of what appears on this blog is shooting videos of one sort or another, but of course I write several columns each month in various publications, one of which is Sporting Shooter - the mag I edited for several years. 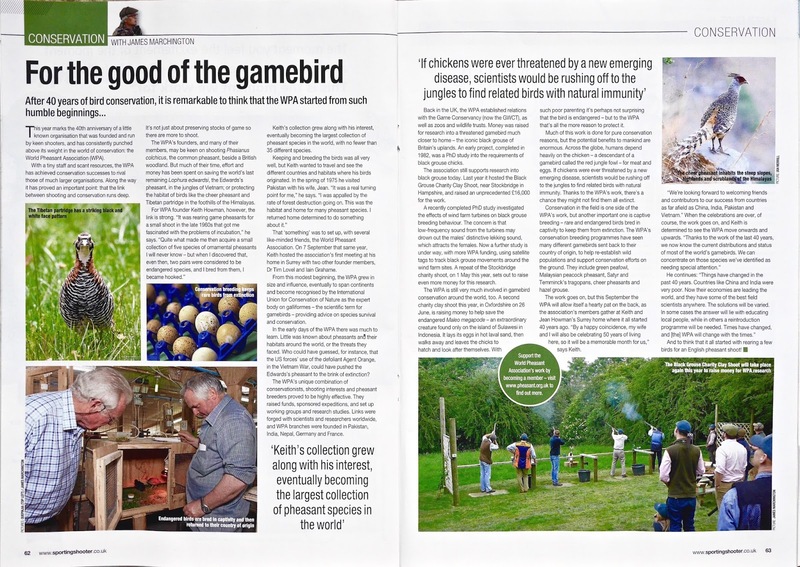 A recent issue featured this article on the World Pheasant Association, a terrific organisation that does a great deal of conservation work around the world to help the galliformes, or game birds, that are related to our familiar pheasants, partridges and grouse. I do what I can to help the organisation, as they do a lot of good conservation work with very limited funds, and rarely get the recognition or support they deserve. Their Pipar Project in Nepal is a wonderful example of practical, pragmatic conservation that works with the local population rather than against them. The WPA celebrates its 40th anniversary this year. 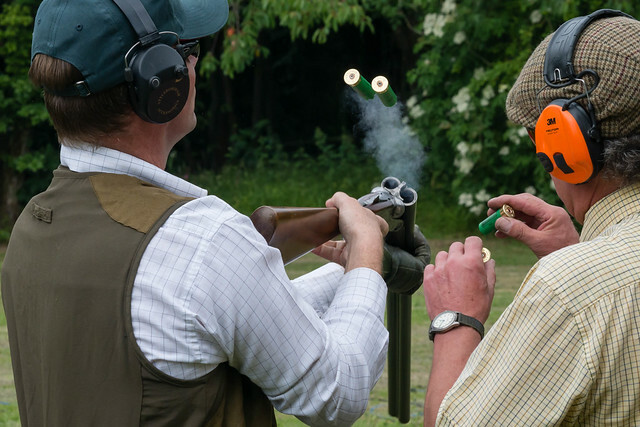 Check out their website and see if you're tempted to make a modest donation, or even join as a member - for a mere 30 quid a year it's a great way to support a conservation organisation that is pro-shooting rather than ravingly anti!